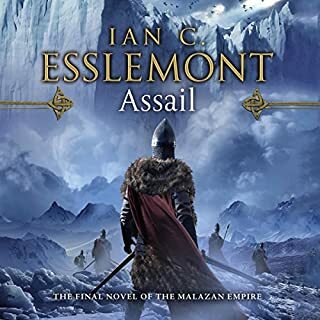 My least favourite of any Malazan Book. 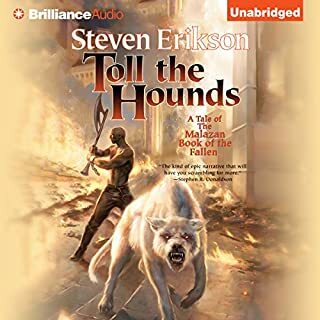 Malazan books are like pizza to me. 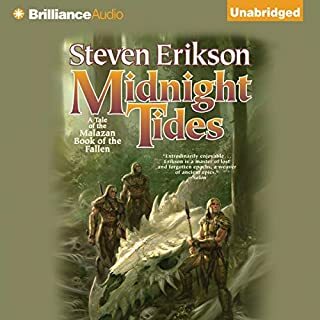 Even when they're bad they're still pretty good. 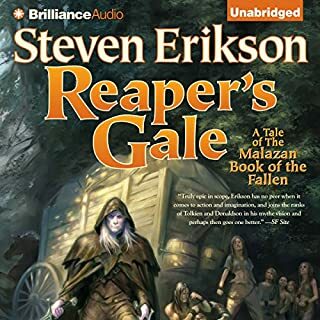 That being said, this is my least favourite Malazan installment by either author. 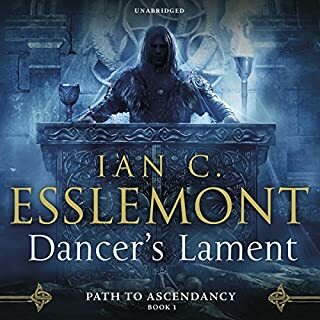 It is meandering and boring most of the time. 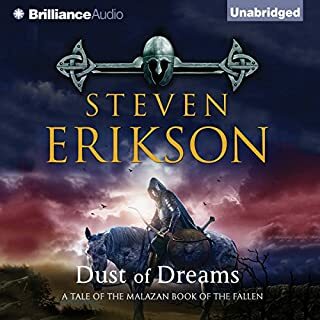 The best part about it is that it expands the Malazan canon further but that's it. 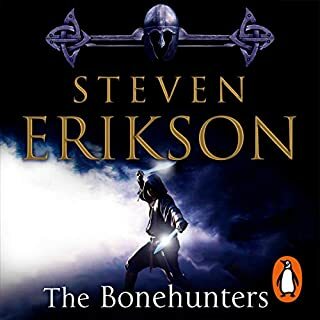 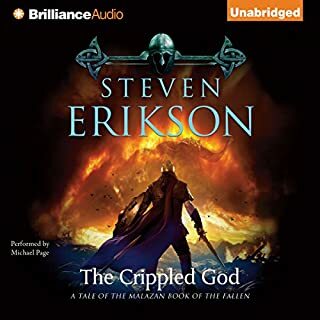 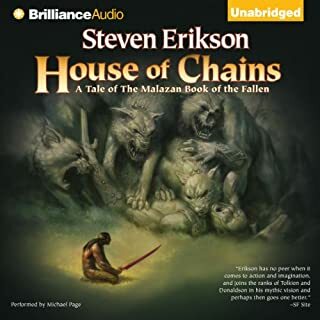 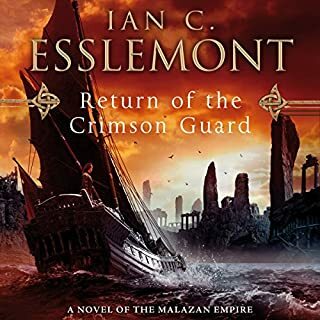 The narrator does a half decent job but pronounces names of races, places and people improperly according to what I've heard from Steven Erikson author of The Malazan Book of the Fallen main series. 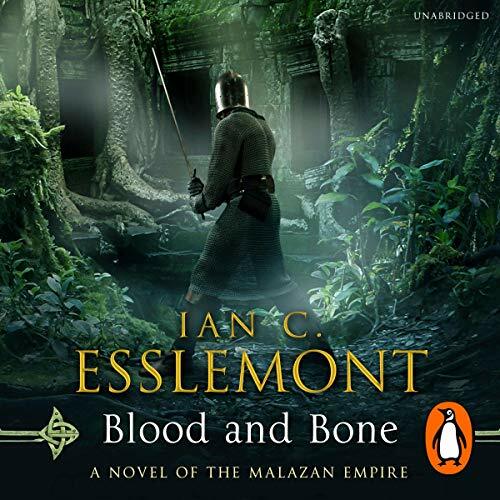 In these books a double "i" at the end of a word or name is supposed to be pronounced as an "ie" or "y" sound. 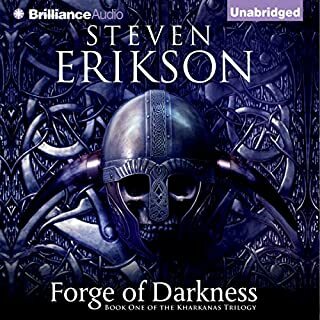 I cringe every time the narrator pronounces each "i". 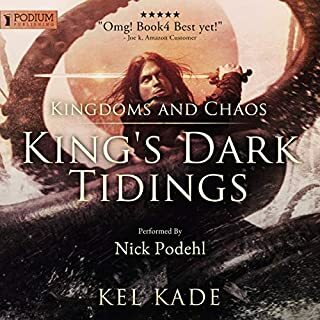 example: The name Andii he will say "Andi-i" when it's to be pronounced "Andy". 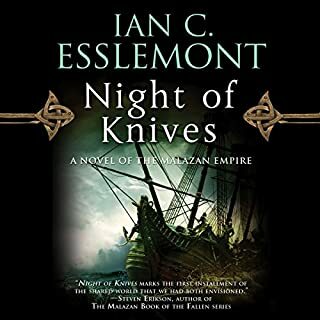 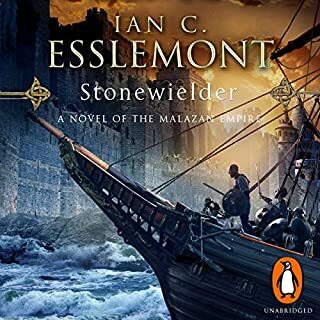 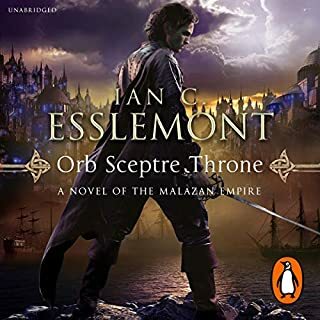 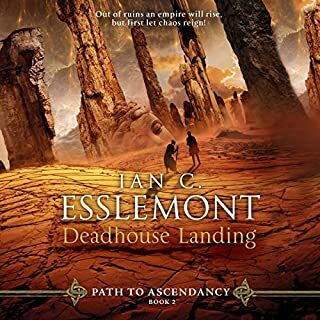 If you're a big fan of the Malazan universe you should read/listen to this book but keep in mind you're in for a big time slog. 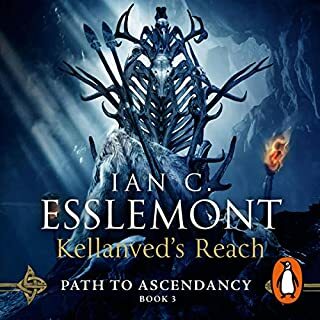 ICE's latest books, the Path to Ascendancy series is his best work and are very fun reads because he streamlines his narrative and weaves fewer characters into each novel. 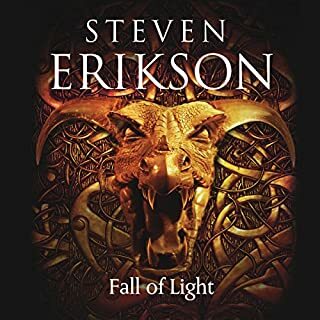 I respect his ambition with this novel and I really liked parts of it but it was a 95% flop for me.